Beginning your home search can sometimes feel like an overwhelming and nerve-wracking task. 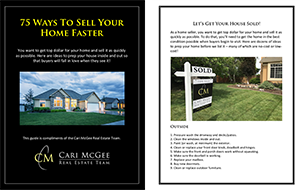 At the Cari McGee Real Estate Team, we like to make it easy for our buyer clients to understand the steps that we take with you in order to find your dream home! We broke it down into these 8 steps. The first step is getting to know each other. We’ll sit down over coffee or here at the Keller Williams Tri-Cities office to talk through the process of buying a home with the Cari McGee Real Estate Team. We’ll answer any questions you have, and we’ll ask some of our own to help us learn what you’re looking for in a new home. We’ll connect you with one of several local lenders that we trust to take good care of you during the buying process. Be prepared to dig into paperwork — pay stubs, W2s and tax returns. The lender will do a full review of your finances and then tell you how much you’ll be able to borrow in order to purchase a home. This is a vital step in the home buying process. Always strive to use a local lender with a solid reputation for closing loans on time. Now is not the time to trust your cousin’s friend’s sister who recently got into the lending business! Based on the wishlist we discussed in Step 1, we’ll set up email listing alerts so that you’ll be notified about new listings that fit your criteria. We can always tweak your criteria if you’re not seeing any listings that look like a good fit. Be sure to let us know if one (or more) appeals to you so that we can jump to the next step and schedule a viewing. Here’s where the buying process gets really fun! We’ll schedule viewings of the homes that have caught your eye and walk through them together. We’ll discuss what you like and dislike about each home. We’ll use our experience to point out any pros or cons that you might have missed during the walkthrough. As your list narrows, we’ll talk about your budget and make sure that we find you the perfect home. We’ll walk you through each of those possibilities and how to handle them. When the offer is accepted, it’s time to dot the i’s and cross the t’s on your financing, and move forward to the next step! After the seller accepts your offer, the home goes through the appraisal and inspection process. These are the last big steps before you get the keys to your home! 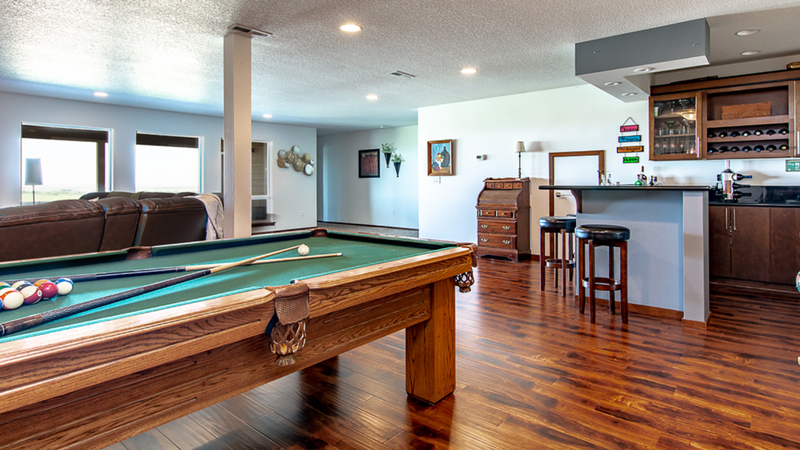 The appraisal guarantees that the price of the home matches the condition of the home, while the inspection makes sure that everything in the home is functioning properly and there are no major issues inside. Woo-hoo! It’s closing day! Be ready for a lot of paperwork — most of which will require your signature. We’ll schedule this with the title and loan officers involved, and make sure you know what to bring to the closing (including your down payment). Congratulations, you’re a homeowner! You’ll get keys to your new home and be able to start moving in. As soon as the kitchenware is unpacked, grab a glass of your favorite beverage and raise a toast in celebration. Even though the home purchase is complete, you’ll be what we call a “Forever Client” and we’ll always be available to help with anything that arises or answer any questions you have about your home, about the Tri-Cities … anything!